Dispatched from and sold by Alex Whyte. This cultivator is ideal for cultivating soil to kill weed growth. Three sharp carbon steel prongs also make this the ideal tool for loosening compacted surface soil in and around shrubs and plants. 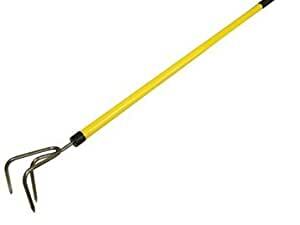 The FAICUFG is lightweight and strong with a 1.4m (54 inch) fibreglass handle.